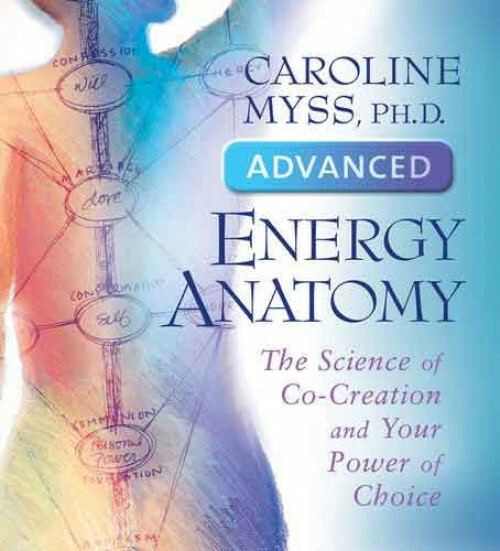 Tami Simon: Today I speak with Caroline Myss, a pioneer in the field of energy medicine. 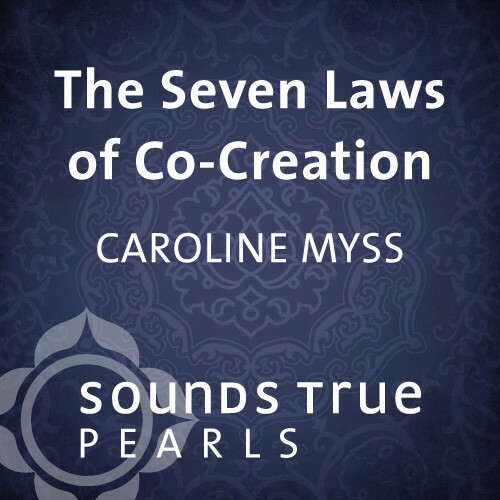 Caroline is a medical intuitive, mystic, and the author of four New York Times bestsellers, as well as the Sounds True audio learning programs Energy Anatomy, Sacred Contracts, and Transforming Trauma. I spoke with Caroline about the nature of the soul and what it means to heal beyond reason. Caroline, I know you are releasing later this year a new book on healing called Defy Gravity: Beyond the Bounds of Reason, and this comes ten years after you published Why People Don't Heal and How They Can. And what I'm curious about is in the last decade how has your view of healing changed and evolved? 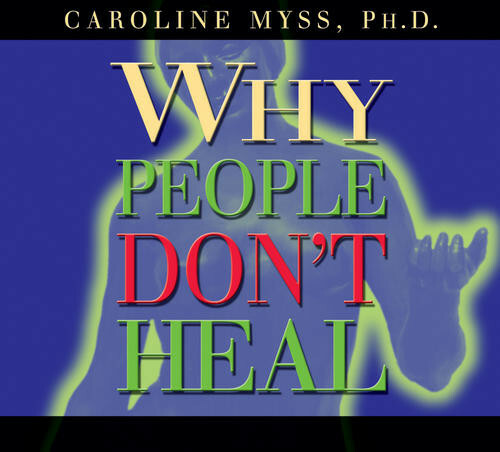 Caroline Myss: Well, from Why People Don't Heal, the insight that motivated me, inspired me, actually, to write that book was at that time I actually believed that everybody wanted to heal. So it came as quite an epiphany for me to realize that the state of being healthy required a great deal more than the recovery of an illness from a person's body or mind or heart. It really was the repair or the renovation, if you will, of an entire territory of power in a person's life. It represented the reshaping of power negotiations between a person and all that person's relationships. And the role that power played in healing and being healthy; that health was, in fact, a different level of power. You raised the bar on how you were going to interact with the whole of life, with creativity, with your high-functioning self, and that that, in fact, was more intimidating to people than the pain of being ill. And I never connected that dot—until I connected that dot ten years ago, which produced the book Why People Don't Heal. So that actually opened an entire universe to me of perception. From that point on I saw people and their relationship to illness though a very different lens, which was one of power, and the role power plays in terms of what we were just speaking about, which is self-esteem, relationships, manipulation, the role that illness plays as a manipulative tool, and how often people use illness to control another person, to maneuver, manipulate their day, to not rise to their highest potential. So that in moving toward a state of health, a person has to give a lot of thought as to whether or not they want to live at full power, and how much it's going to take to live at full power. And not everybody wants to do that, because not everybody is ambitious. A lot of people are lazy, and not being healthy suits that. That's a strong thing to say, but it's a fact. It is an absolute fact of life. So Why People Don't Heal opened that lens to me, but it still didn't answer a question, which is what about people who really do want to heal? What about that whole spectrum, because there still are people who genuinely want to make that journey and get better. And the next ten years were a time when I had to think, there have to be people who genuinely want to get better. And I started to scan the vast horizon here, which only increased my frustration as I looked upon this culture of ours and its twisted way of looking at things--the way we approach things. Given our emphasis on you should eat vegetables and organic, and vitamins, and exercise, and all of the literature we have on health, and all of the emphasis, and all of the gymnasiums, and all the workout programs, and workouts on TV and this, that, and the other, we have grown increasingly unhealthy as a society. We have grown increasingly drug-addicted on antidepressants and tranquilizers, and pain medication and other meds. When you sit down to watch TV all you get is assaulted with medications you should be on for everything from a problem with your bladder, to acid reflux, to drugs to prevent things that you could have, to sexual disorders, to all kinds of new pain medication that, in fact, you should be drugged, and in fact 60 percent, 70 percent of Americans are on prescription medications. I've looked into this. Not to mention obesity, not to mention drug addiction. How could we not be drug addicts in this country? So it seems to me that just as the rise of the holistic teachings and the emphasis on becoming independently healthy—not wealthy—but healthy, independently healthy, the pharmaceutical industry said, "Hold on here, we have to keep you dependently healthy." So there's a tug-of-war going on here, as to who's going to win this battle between the dependent and the independently healthy, and so far the dependent are winning. And still for me, the area of health—I've always been fascinated with the way the therapy world has set up its fundamental approach to healing, which is based on this idea of crime solving. If you find out who hurt you, who did damage to you, then somehow solving that mystery will be rewarded by the apparition of health. That once you empty out the basket of wounds, that void will be filled by the return of your health. Of course, that's not true. It's never been true. It's never going to be true. But that doesn't stop this penchant we have of looking toward our history to solve the mystery of why things are not perfect in our lives. The fact is you can't reason with a catastrophe or illness. They are not reasonable events. And what we've done in this body-mind-spirit template that we have formulated as the basic approach to holistic health is that we have never fully, really utilized it. We have in fact, simply retreated back into a body-mind template, never really animating the spirit. And the whole approach in therapy is to use your mind to get better, when in fact the mind is the damaged instrument, nine out of ten times. The mind has damaged memories. The mind has attitudes that are completely dysfunctional, and it goes backwards and says, "I have to find out who hurt me," establishing this role as the sacred victim. And we have this attachment to suffering that says, "If I've suffered, I need to be rewarded for my suffering." So we attach ourselves to suffering in this culture as if suffering is deserved of some kind of special treatment, some kind of special entitlements, and we actually believe that, and we have phrases that endorse this. We say things like, "You're earned your stripes. You deserve this." Why do you deserve something? "Because you've had a bad day. Because you've put in your time." That's another phrase that's worked its way into the mainstream that says things like, "He's suffered, therefore he's earned some good luck. Therefore he's earned a break. I should have a break because I've suffered." So we hold onto our suffering because we feel that we're owed something from somewhere because we've suffered. And if that comeuppance is not forthcoming, we will extract it from somebody. And we will. We will make somebody in our life suffer because we've suffered, if we do not get our due. We'll make people in our family suffer. We'll make people at work suffer, but we will make someone else suffer. The whole teaching of the spiritual master, Jesus, about forgiveness—the essence of forgiveness—can be summed up by, "Don't pass on your suffering. Don't do it. Carry that cross yourself and pray away the grief. Withdraw into your soul and pray it away, don't pass it on. That is your salvation." That's what he means by salvation. That is what will save humanity. As if you actually get that the passing on of your suffering is what increases suffering. Tami Simon: Now you said that we look at healing though the mind and body, but not so much through the spirit, and you're giving one example here of the idea of not passing on your suffering. But how would somebody approach spiritual healing? Caroline Myss: Spiritual healing, what do you mean, laying on of hands or something? What do you mean by that? Tami Simon: They want to activate the spirit part of them in the healing process. Caroline Myss: Well, first of all, Tami, we've approached the spirit as a mental thing. As if you can talk about it, read about it, go about it in the mind, go relax yourself, go have a good meditation, go clear your mind. There's no spirit there. That's just tranquilizing. The spiritual life, by its very nature is meant to take you out of your mind, beyond your mind, into what Teresa of Avila calls your interior castle. That's exactly what she was referring to, the domain that's beyond the mind. But we are enchanted with our minds, and we think everything's in the mind. That's why we say to ourselves, "Gee, I'll just set an intention, and I'll let the intention do the work for me." We're totally enchanted with the fact that we'll just let our mind do the work. It's like our own computer database. We've turned into an energy culture, and we don't even realize it. We are literally evaporated into energy. Even our nation has done that. We used to be an earthy, earth-based nation. We used to be a farming culture. We used to be farming, we used to be industry, and from that we went into factories and productivity. And we were really, really a nation that was not afraid to get its hands dirty. And then we kept climbing up the chakras, and we went into creativity, and into ideas, and then we morphed into a nation of computers and the moving of ideas, and banking and the moving of funds and we just poofed. We just moved ourselves right out of the market. We're simply people who fell in love with air space. That's what's between our ears: air space. And that's exactly what our theology is, empty air space. We love the movement of ideas, more and more ideas, but there's no devotion, there's no humbleness, there's no sense of prayer, there's no sense of taking your shoes off on sacred ground, there is no sense of that whatsoever. None. There is no sense of soul. There's no sense of anyone saying, "What happens to me after I die?" I have never been asked that question in my entire career. Tami Simon: Well, Caroline I'm going to have to stop right now and ask you that question. Do you know what happens after we die? Caroline Myss: Well, the best I can say, having had a near-death experience myself, such as it is. Tami Simon: Maybe tell us a little bit about that as well. Caroline Myss: Who's interested in my near-death experience? Even I'm not interested in it, but I will say this. I'm someone who for whatever reason has had some very beautiful soul experiences, and I think that especially in these last five years, my life has gone from somebody who had a library full of books in her head about mysticism, who comes from a background who's educated by nuns and priests and Jesuits till she was twenty-nine. And I realized at age forty-eight that I did not have a spiritual practice. I could talk with the best scholars about the notion of God, like Thomas Aquinas, who on his deathbed said, "Everything I've done is nothing but straw." Because he finally had a true mystical experience, which is he went from intellectual chatter to finally having an experience of the power and nature of God. And the best way I can compare that is a woman who's never had a child and giving lessons on childbirth and talking about how to be a mom, to finally having a child, and then listen to her talk. And it's night and day. Now when she talks about labor pains, I'd listen to her. But I'm not going to listen to anyone who hasn't been through motherhood talk to me about being a mother, which is why, by the way, I do not deal with children. I don't have any, which is why I don't lecture on motherhood. I don't have any and I'm not a mother. I know exactly what my parameters are. Unless I've been there and done it, I am not going to insult mothers by standing in front of them and telling them something that in truth I know nothing about. For as much as I love my nieces and nephews—they live with me, they're all over my house constantly—I didn't give birth to these kids. They didn't come out of me. So no mother would respect my guidance to her in the same way she might respect what I have to say about archetypes or medical intuition, or perhaps, the nature of God. I've gone through grand mal seizures, I've gone through near-death experiences. I've gone through illnesses. I've gone through dark nights. I've gone through an endless number of personal years alone and isolated, and my life has been carved by only one thing, and that's not by choice in some regard, but it is what it is, which is a quiet life of someone deeply involved with God. And from that I can only say, there is a power much greater than us. It's not in religion. That's a costume party. It's nothing but costumes, that's just nonsense, but beyond that there is a force much greater than us, and its presence is everywhere. It's everywhere. It is not an employer. It's not the way people look at this force—they turn to it when they're in trouble. My father always used to say, "There's no such thing as an atheist in a foxhole." He was a marine, and a lot of his expressions came from his experience in the war, in World War II. But it's absolutely true. I see people turn to prayer when their lives are on fire. But they have no sense of what it is to simply be devoted to the interior path of congruence. Of the interior path of wanting to say, "Show me who I am in relationship to this life of mine that you've given me as a gift. What is my path of service every day? What is my path of service today? What is my path of service?" They always want something for it. "Give me something, and then I'll know you're here. Give me something. Save me because I'm afraid today. Give me something." They haven't looked for God in the details and all the smallest ways, or realized that the presence of the divine is in every single blade of grass. It's theory to them. And that the true calling is the call to ultimate congruence within oneself. Tami Simon: What do you mean by that? That word, congruence? Caroline Myss: That the true spiritual path is a path within oneself of becoming congruent with your soul, your heart, your mind, with your interior life, so that you cease living a life of interior betrayal. So that you recognize, "I did hear you. I did hear that guidance. I'm not going to live in denial anymore. I did hear it. I did hear you talk to me. You did say get up and walk because my body's falling apart. I did hear you. I did hear you say, ‘Call this person and apologize,' and it's coming through my feelings of guilt. I do hear you." Tami Simon: Now Caroline, you mentioned that nobody has asked you what happens when we die, that people in our culture aren't interested in this, and I'm very interested in this. The reason I stopped asking authors and writers this question, what happens when we die, [is] at one point I was talking to our friend Ken Wilber and I asked him this question, and we were in his house where he has 10,000 books that he's read, actually, and he said, "Look Tami, I've read all these books and there are plenty of people who have had near-death experiences. That doesn't mean they know what happens when they die, that means they know what happens when they almost die and nobody knows the answer to that question, so you can stop asking it." And so I did. But I'm curious. Take me a step further. Caroline Myss: Well, I think that Ken's answer is perfect and that nobody knows what happens completely after you die. I think that's absolutely accurate, but having said that, what can be deduced is that we go on. We go on. That's number one. Number two is that what we do actually matters. That there seems to be evidence that what we do matters. But by what we do, it means what we have done for others actually matters. That there is something called a life review. That seems to be represented in myth, in stories that go back hundreds and thousands of years. So these two things. These two little constant threads in multicultures seem to indicate there is a constant line that is unbreakable, that says we come here, we journey down here and we journey down here to continually awaken to some great truth that all is indeed one and that will we never get it that the greatest use of this life is to respond lovingly to life however we meet it each day, and that that is the guidance we're given, and then we're called home and we are indeed called home. And that life will continue for us on this other side, and that what we do here does matter to that other side. That there is a sense of accountability, so it does matter. Tami Simon: Now when you say we go on, you mean the soul goes on? And if so, what's the soul? Caroline Myss: Well, I think the soul is your eternal self. It's a mystical force. You can't reach it through your mind. So I can give you 10,000 definitions and you still won't know. The soul is a part of you [that] you have access to only through prayer. That's the best way I can tell you and that's the most accurate definition. I can only tell you how to get there. But let me ask you something. Answer this. What would you do that would violate you? Tell me something that you absolutely cannot do. Tami Simon: Okay, if I lie it's a violation, unless it's a white lie. Caroline Myss: And what part of you would feel violated. What is that part? Tami Simon: I could use the language, my soul or my conscience. Caroline Myss: But there is a part that you simply can't—there's a line in the sand--and you would say, "I just can't do that." And I would say to someone, "Why not? Can't you just outtalk that part and why what is this part that is stronger than your capacity to outtalk it?" You're one of the smartest women I know and you can outtalk anybody. I know, I've been there. I've been outtalked by you, and few people can outtalk me. Why can't you outtalk that part of yourself? What's that part got that you can't outtalk it? You tell me. Tami Simon: It's an essential integrity. Caroline Myss: There you go. It is an eternal integrity, not essential, eternal. It's your eternal integrity. It is unyielding and it will never, ever compromise. That's your soul. And it is the only part of you that if you violated it you would feel a level of shame within yourself before God. You would feel you have violated something cosmic. And you know it, and it is unexplainable to anyone who does not know that part. But to someone who does, they simply bow their head and say, "I know what you mean." Tami Simon: Okay, so you mentioned that the way to know the soul is through prayer. Tami Simon: And what I'm curious about is what you see as an effective way of praying and what you consider an immature or self-centered way of praying. What's the difference? Caroline Myss: Give me something. Where's my stuff? God, can I have more stuff? And then when you pray for someone else because of how you want their life to work out to serve you. Please keep that person near home. Please keep that person safe for me. You put spells around them, because you think everybody's life who's close to you should revolve around you, because of your own insecurities. Whereas, a sense of prayer that is mature is to use prayer as a way of numbing your five senses, of withdrawing from the chatter that your five senses gets you into. And you withdraw yourself and you take even one simple phrase. Just take one simple phrase. You can take a phrase like, "Let nothing disturb the silence of this moment with you, God. Let nothing disturb me. Let nothing disturb the silence of this moment with you." And you withdraw into that, and you dwell on just perhaps one thing. Just one truth. Merton wrote one time in his journal, "This day will never come again." That is a profound truth. This day of your life will never come again. So you withdraw into that as a prayerful reflection and you think everyday of my life will never come again. Every single day. How will I use every day of my life. If I really dwell on that one single thought I am overwhelmed by the power of it. Every single sunrise I will never see again because it will never rise again on this day of my life. I will never revisit this day. It is impossible. And I will never see the sunset that I am going to see this evening in my life because I'll never be here again. This day, this age, it's over with, forever. I will never walk down the same street again and I will never again see the same people the same way. How will I use this day of my life? This extraordinary truth that this day will never come again. As you dwell on such a truth it converts into a field of grace. And you say lift me up into this altitude of the truth of this. Just take me away into this. What am I doing here in this life now? In this day that will never come again. And strip away from me what is simply extraneous nonsense. I have no more time for this. Let me see what is nonsense and learn discernment. Give me the grace of discernment that I may see what is valuable and important from what is not. This is prayer. Tami Simon: Now Caroline you use the word "grace" a lot. You have a program with Sounds True that's called Channeling Grace, and I've heard you speak about the grace of illumination as a factor in people's lives, something that can come like lightning, and what I'm curious about is when you see people can you see a field of grace around them? Can you feel it? Can you feel it in people? What's a grace field? Caroline Myss: No, I don't see anything. I'm not very dramatic in that way. Well, you've been around your great teacher, and you've been around people who feel very shattered, have you not? And you've been around people who you feel are fundamentally untrustworthy, which is the absence of grace. You think this person could use a good dose of higher consciousness. You could use a good dose of something that awakens you to a force of good. You could use a moment of that, a second of that. You need to be blinded by grace right now. You need to be knocked down by grace, knocked right off your horse. And other people, when you're with them, you feel such a fundamental goodness coming from them that you don't want to leave them. And their goodness goes right into you. It pierces right through their heart and right into yours. And when you describe them it's the only word you can say. It's the language of grace. They are so good. They're such good people. They're such kind people. And the only thing that comes out of you to describe them are words that suit the vocabulary of grace. This is how you discern the difference. Tami Simon: And then what's the relationship between grace and healing. Caroline Myss: Well, as I went into Defy Gravity between Why People Don't Heal and Defy Gravity, came Invisible Acts of Power, Entering the Castle, Sacred Contracts, I mean my work took many, many stages before I got to Defy Gravity, and the prelude, of course, was Teresa, my Teresa experience. And that we don't have the time to go into, but suffice to say that that began my interior mystical life, was my Teresa of Avila experience. And as a result of teaching Entering the Castle, which for me is such a deep pleasure to teach the interior castle. It was the first time I crossed over a line and brought prayer into a workshop. So for twenty-some years as a teacher I never, ever, ever even opened my workshops with a so-called quiet moment. I never did any of that. But when I introduced Entering the Castle on the book tour, I realized on my first book-tour lecture, which is only an hour and a half, and then I sign the books—I'm not somebody who reads from my book—I talk about it, that people could not relate to this place called the interior castle, the place beyond the ego-spirit, and then there's the soul. So I said, "Do you want an experience of the interior castle?" And everybody's like, "Yeah, yeah, yeah, I wanna go!" It's like a trip. So I said "We're going to do some things I've never done and we're going to go into the lens of prayer,. We're going to have to do that." So everybody got very still—I had almost nine hundred people there for this first book signing. And the room became still as a church, and I led them in a prayerful medication prayer, guidance as they crossed the drawbridge into their soul, and a prayer that said, "I am in the stillness of my interior castle, and awaiting the presence of God." The room became so still, and then I took them into the first mansion of their interior castle. Teresa of Avila, when she wrote the interior castle five hundred years ago said—she had a vision—and she said the soul is like a crystal with seven mansions. Of course when she even described that it intrigued me because of the number seven. At the end of that meditation, half the room was not emerging. It was just this breathless silence and stillness. Then finally my host said, "You have to start signing books." During the signing someone came up to me and whispered in my ear, "I've been in severe pain for twenty years. I don't have any pain anymore. I thought you'd want to know that." And I lifted my head to look but she already started walking out the door. I never saw her face. I continued on to Boston, and in Boston someone came up after the experience of taking them into the castle and her arthritis in her hands had stopped pulsating and all the red was gone. Anyway it continued. And, of course I did my first workshop on healing—not about healing—but for people who were ill. And a few months after that workshop, I was doing another workshop, not on healing, but specifically on entering the castle. And a woman came up to me in that workshop and said, "I was at the other workshop on healing, and I've come to this one to tell you my brain tumor is gone and it was terminal." So I have a whole list now, that goes from here to there on people with illnesses that were either chronic or terminal and they're gone. They're healed. And so I thought where did these people . . . how did they do this? Tami Simon: That's what I was going to ask. Caroline Myss: I took a look at that, Tami, and I decided to write Defy Gravity because I had to pursue this. Healing is a mystical experience; it's not a mental one. The way we've shaped it, the way we approach it in the general marketplace will never accomplish what these people have accomplished. And it's not a matter of having a faith in a religion. It's a matter of following what these teachers have taught. So as I wrote this book the first true principle is that you cannot reason with the challenge placed in front of you. That is if you go about it through the mind, you will go about it from the perspective that you have been victimized. That it should have happened to someone else. You will say to me, "I can't believe it happened to me." Well, why not? Did you think you were entitled to a life free of pain? Free of crisis? That's your ego. And you will be baffled and you will try to pass on your suffering to someone else. You will think someone else caused it. It's due to your childhood. It's due to your bad parents, because you were entitled to a life without it. And you will sit in your self-pity and you will stay there. And if you think that approach is going to heal you, you'd better think again. But that's what our contemporary therapy does. Totally encourages that. And it gets to the point of saying, "Now you've got to forgive this." But it does not really lead people into the soul, and only the soul can forgive. That's why people say, "But just tell me how, oh my god, how?" Because the mind cannot forgive. It's not an instrument capable of forgiveness. Your mind is the damaged goods to start with. So I thought, these people are not taught endurance. Nobody talks about endurance in the healing program. Nobody says, "You're going to grit your teeth here, buddy., ‘cause you're going down deep into the dark night." Because healing is about the dark night. And as I studied the dark night of the soul, because John of the Cross scripted it. [He was] Teresa of Avila's companion in Spain in the 1500s, I realized the significance of how he divided the dark night into the active stage of the dark night and the passive. And in the active stage he says, "You will go through the shattering of the senses." And that's akin to how we've set up therapy, where—except that in our therapy we do not allow our senses to shatter. We encourage them not to. When, in fact they're supposed to. Tami Simon: What do you mean by the shattering of the senses? Caroline Myss: The shattering of the senses is about confronting the belief that bad things shouldn't happen to you because you've done everything right. I did it all right how could this happen to me? I've been a good person. I should have had a perfect childhood. I did everything right, how could I lose my business? How could this happen? How could my marriage go wrong when I was such a good partner? Because it did. Simple as that. The shattering of the senses. In therapy we say there has to be some reason for this. Now, must have been your childhood, your environment, let's go find that reason. Okay, so let's say you found someone to blame for it. It was your environment. Now what are you going to do? And how does that change what happened to you? Do you feel better now? No. It doesn't change a thing. It happened to you because it happened. But therapy doesn't get anyone past that, whereas John of the Cross says, "You're just going to have to cave and let your senses shatter. And finally humble up and get to the point that you're no different than anybody else." Bad things, painful things, things that seem unjust and unfair are as likely to happen to you as they are to anybody else. And the idea that if you do a lifetime of good things to protect you from bad things, is simply a myth. And the death of that myth is a crisis for people, because it exposes them to the truth that there's nothing you can do to stop the whim of heaven from coming to your door. But then you go to the passive darkness. And that's where I really saw the Holy Grail. I got it. I absolutely saw it. And that's where John of the Cross said, "Now you're really going to get into your suffering. You thought that was bad? Wait." He says now you have to get in touch with your relationship to the seven deadly sins, which I refer to as the seven shadow passions, because I don't think anyone can take the language that they were once placed in. but these seven shadow passions are your true force of creation. You say I create my own reality. I would say to you in response, and what forces do you use exactly in the creation of your reality? What are you drawing on? What's your currency? These are your currencies. This is what you use. And you have to take a real good look at this, because what suffering is really about—the core of a person's suffering—is not who hurt them, which is what contemporary therapy and healing is all about: "Go spot who did this to you. Go on your crime-solving and who-done-it missions." But it's what you want to do to them. That's when you really suffer. It's in your thirst for vengeance and how you want to get even. It's that you dwell on that, you image, you want to punish them. That's why you pout, that's why you withdraw, that's why you won't call them, that's why you won't talk to them. And you're hoping they're hurt from it. You're passing on your suffering. You're communicating that. And you're imaging. When people say to me, "What's my sacred contract?" they're hoping it's glamorous. Why? So they can go and hurt people who humiliated them, and shove it right in their face, and this is what's true. So in getting in touch with those seven shadow passions, you get in touch with your true motivations for your actions. And every single action, from the tiniest action that you have to your largest action, to every single thing you say, to how you look, to every single thing you to the tiniest micro thought in your heart. But even that's not enough, because there's no balance in that. The other thing you have to unlock are your seven graces, because these are the balancing points, so that you realize that in every second of every breath you take, what choice is truly about is whether or not you pull from your graces or your shadows. Whether you pull from a damaged ego or whether you understand the grace of reverence. And what it is to have reverence for your own life, or to be consumed by shame. To feel like your are ashamed of your life or whether you can lower your head and ask, I so ask for the grace of reverence to see my life again as sacred because I'm losing it, and if I lose it I will spin into suicide. So that, you see, and that will lead me into jealousy and into dark, dark places or I will in fact end my own life. These seven forces—these seven graces—empower a person more authentically than anything I have ever witnessed in my life. Tami Simon: Can you tell me what the seven graces are? Caroline Myss: Sure I can. The first is the grace of reverence, and it is such a rich and profound grace--and none of these is simply understood. I have to deeply go into every grace. When I wrote the chapter on the graces it ended up being 26,000 words because I needed to say to people let me tell you how to pray your way into this grace. You want to fall into it like the most soothing, soft waters you will ever know—ever. And the second grace is piety, but it's not piety for God in the classic sense that one might define it. It's rather the capacity to see God in the details of what a person is doing in your life. That you're able to see the sacred within the actions of others and not see threat. It sits opposite the shadow of greed. So these two balance each other. The third is the shadow of what John of the Cross would call luxury, but I named it entitlement so a person really gets it. Entitlement, narcissism, I'm entitled; everything's about me, and it sits opposite of the grace of understanding. But it's not understanding the way the ego defines it, which is you better understand me. It's all about, dear God give me the grace to understand clearly what this person is saying, who this person is and how I can understand very clearly why we are in the same room together. Let me see clearly what this moment is about. And that kind of grace fills you with who you are in that moment and that other person. It reshapes the moment, the second, the hour of your life together. And you know the signature of grace because it always gives you guidance that heals and moves you forward—always. The fourth is the grace of fortitude. Fortitude, which is stamina to carry the highest potential of guidance that you're capable of receiving. And you need fortitude for that, because it is wildly powerful. The quality of guidance that you're capable of getting, and it sits opposite a wrathful heart, the shadow of wrath, and how destructive that is to love. And it takes fortitude to love that which you are called to love, when it is sometimes even against your nature. When you're called to have a cosmic heart, versus a personal one. The fifth is the shadow of gluttony, spiritual gluttony—"Nothing's enough, I need more guidance. Nothing's good enough, nothing's big enough. Nothing." And it sits opposite the grace of counsel—to be able to receive a mystical truth and apply it in practical terms in order to better the lives of others and yourselves. That is channeling. The next is the shadow of envy. I don't have to define that. But I could do a treatise on what it means at this level. And it sits opposite the grace of knowledge—not information, but mystical knowledge, high-voltage, mystical knowledge, the capacity to synthesize truth into one system of perception. And the last is the shadow of sloth—to receive guidance and deny that you have, whether it's guidance to move your body and exercise because you're being told you're falling into illness, to stop eating sugar because you're a diabetic, the way the body says, "you're killing me." Or to receive guidance that says you're lying, you know you're lying, stop lying to this person, you're being deceitful. Face the fact that you've become a liar and cease this. And it sits opposite the grace of wisdom—to recognize what it is to make wise choices lest you fall into the pattern of only serving yourself. You can manage these graces. You become a force of transformation and healing because the fruits of these graces are the capacity to love what you never thought you could, and healing. You become a healer. Tami Simon: Caroline, wonderful, our program is called Insights at the Edge, and I have to say every time I talk to you it's a nonstop insight train. So thank you, and I just hope I get to talk to you again for Insights at the Edge. Caroline Myss: You're welcome, sweetie.